What in the world could a spiritual suicide be? What sort of rubbish statement is that? It’s a question I could have easily asked myself thirty years ago, but not now. Now I am a convert. Well, I really don’t know but it is something spiritual. In the early 1990’s I was on an Aboriginal community in Arnhem Land watching my wife collect archaeological data from the Elders for her doctorate. 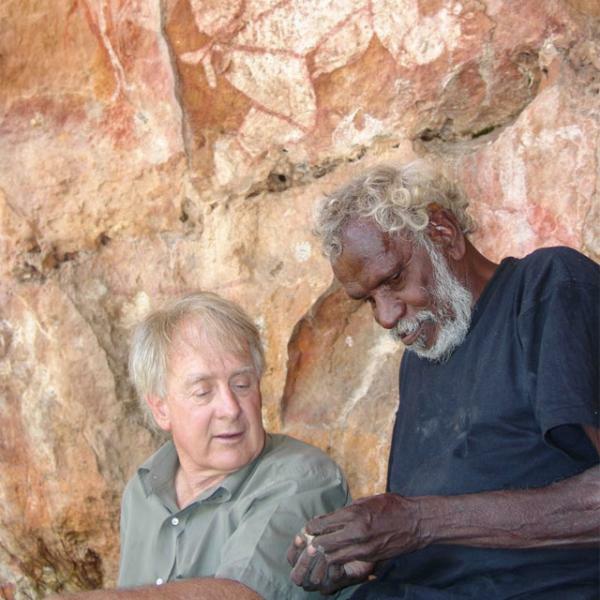 Our Aboriginal teacher was old Kotjok; a Junggai - a senior religious and legal authority with that language group and the man who became my best friend. I often sat at his camp with other men and listened to the talk. Suddenly Kotjok would start, hiss and look behind him in a frightened manner. He would shudder and then turn back to us as if nothing had happened. As a teenager I’d read a biography of a man who tried to contact his dead mother and gone mad. I’d decided that I would never delve into the supernatural as it was maddening stuff. But, events do overtake ideas. Early in our stay I’d found that being part of an Aboriginal upper class family was essential to whitefellas being taught properly and, even possibly, truthfully. I’d heard Kotjok telling untruths to whitefellas who came up full of questions with an assumed right to know everything. But, the way he said it had me wondering. ‘Now you have to come with us men and beat up that other family with sticks’. I imagined us men getting drunk to get our courage up and then grabbing anything at hand and getting into a bloody fight. We’d heard these fights and arguments every weekend since we’d arrived. ‘Your Bunji Bungardi is in jail because that family went to the police. They shouldn’t a done that and now we have to punish them for that.’ Kotjok said. ‘Bungardi cut Narritj but it was only a small cut’ Cojok indicated a gap of two centimeters with his thumb and finger. ‘That can’t kill you. It’s only a small cut. He was such a bad man his spirit wanted to get away from that body. When it saw that cut the spirit came out and ran away’. So … that was what a spiritual suicide would be. On my personal measure I’m not a brave man. Others might politely say I take self-preservation to unpopular heights. The agreement that I get into a drunken fight, seeking revenge for a family member I’d never seen, left me … let’s say … shakily thoughtful. My wife, Claire, seemed to think it would be an interesting addition to her data bank. I decided to use my usual ploy of seeming to agree while saying nothing. If I were a Christian I would have prayed the days away. For the next two weeks I walked around the community very aware of every movement from every side. I was becoming a nervous wreck. Which one of these people passing by were part of the family I had to beat up? Did they know? University hadn’t prepared me for this. They should have done better. ‘Nothing like on-the-job-training’ was Claire’s answer. Why did I have to go and marry a brave woman? As an older man I should have known better. Then again I remember thinking that as my wife it would be her job to warn me of danger and stand in its way. Well maybe not stand, but a slight crouch shouldn’t be asking too much. AND … we were supposed to be objective-observers. Attacking Aboriginal people didn’t seem to be very uninvolved to me. As it happened the family feud didn’t eventuate as one of my Aboriginal daughters was taken by the other family and slashed on the face in payback. She carries that scar today. Strangely that seemed to settle the matter. After taking my family to Darwin I asked my European-educated Aboriginal daughter what had really happened on the night of the killing. Bungardi and Narritj had been drinking heavily and got into a fight over a woman. Bungardi broke a bottle and poked Narritj in the neck. The small cut pierced the carotid artery and Narritj bled to death before he could be saved. At last I was able to place the event into its scientific box and understand it in my own terms. Spirits escaping bodies was just old Kotjok using his authority to interpret what happened in a way that advantaged our family. Good! That settled that spiritual story into the dustbin. But, of course spirits do leave the body when we pass away. Can spirits decide if and when to leave? It was early days. Claire and I went on to have experiences that convinced us that Aboriginal spirits are real.